Replacement cartridges for the Aquasana Countertop Drinking Water Filters (AQ-4000 and AQ-4000P). Long-lasting filter cartridges only need to be replaced every 450 gal. or 6 months to keep your Aquasana Countertop Filter performing at its best. 1 year warranty. Brita pitcher systems have the power to transform ordinary tap water into great tasting refreshment. When you add a Brita Water Filtration System to your daily routine, you feel confident that the water you drink is filtered, cleaner, and tastes just the way you like it. Improve the taste of tap water by regularly changing your BPA-free Brita<sup></sup> Advanced Replacement Filter. Designed to fit all Brita<sup></sup> pitchers and dispensers, this filter reduces the taste and odour of chlorine to deliver great-tasting water while removing copper, cadmium and mercury. For optimum performance, change your water filter every 151 Litres, or approximately 2 months. One water filter can replace up to 300 standard 500 mL water bottles, better for the environment and for your wallet. Keep the great-tasting water flowing with this convenient 5-pack. Get great taste, less waste and more savings from Brita<sup></sup>. Use these Replacement Sediment Filters to reduce sediments, such as sand, soil, silt, sediment and rust in your drinking water. 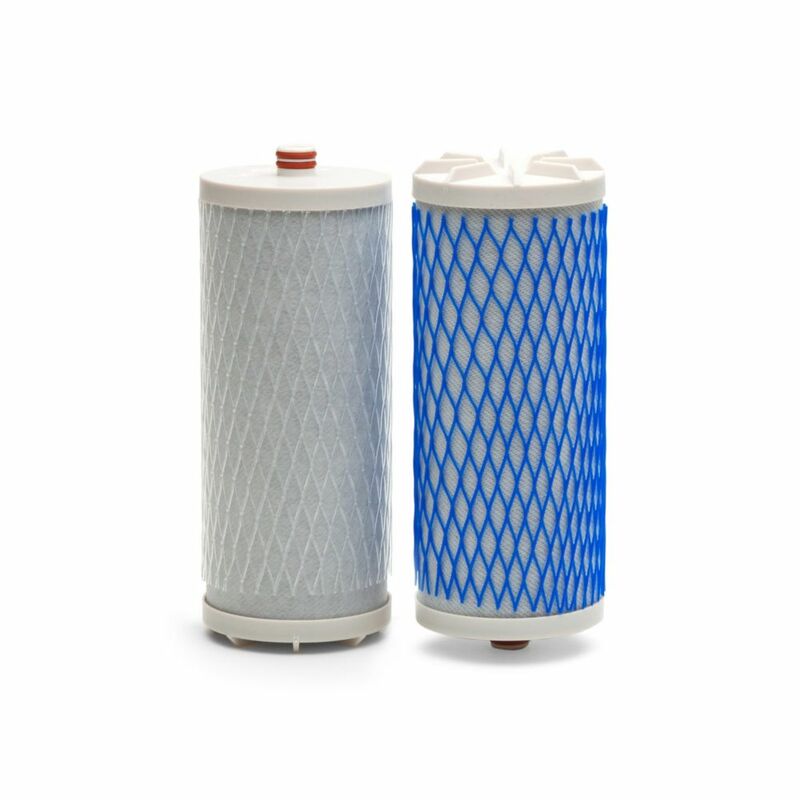 These filters are compatible with GE Household Filtration System models GXWH04 and GXWH20. With a pressure relief valve for easy filter changes and up to a 6 month filtration life per filter, these filters are designed for enhanced filtration performance with low maintenance. This EcoPure Melt Blown Replacement Filter reduces sediment including sand, dirt and rust, which will extend the life of your home's water using appliances. These universal filters fit seamlessly into our EcoPure EPW2VC and EPW2 whole home housings and can be used with all major brands of sump-style whole home filtration systems. For best filtration results, filters should be replaced every three (3) months, as recommended. Filters come in a pack of two (2). Drinking water Replacement Filters - Dual Cartridge Set Replacement cartridges for the Aquasana Countertop Drinking Water Filters (AQ-4000 and AQ-4000P). Long-lasting filter cartridges only need to be replaced every 450 gal. or 6 months to keep your Aquasana Countertop Filter performing at its best. 1 year warranty. Drinking water Replacement Filters - Dual Cartridge Set is rated 5.0 out of 5 by 1.